Its has been a pretty good summer of racing so far. Though, I would have like to see more entries in Jason’s classes. All three where very light in Jason’s classes. The best turn out was a club race at Concept Haulers a few weeks ago with 12 drivers in his class, Jason really liked that and wanted to go back just for the on track traffic. This last 206 Cup race at Concept Haulers was disappointing with only one other driver in each class. When we plan our season work to keeping our commitments and then having nearly a no-show at Jason’s home track is really frustrating. We were expecting to have a great time racing with the 206 Cup in both Animal and LO206 classes with good drivers near by. To make it worse, the LO206 Senior and and Junior classes both had good if not great turnout and were well worth watching. Jason really wants to race and hone his skills, just putting in laps by himself is not enough. 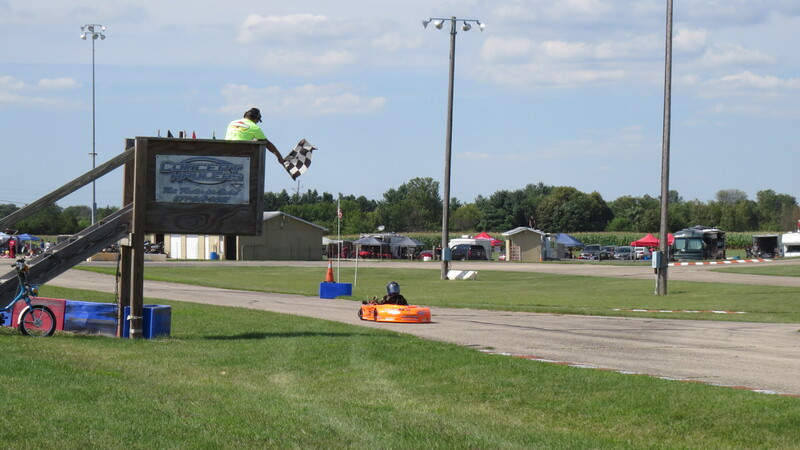 Jason’s LO206 kart was very well dialed and his only competition was a very green driver in his 7th and 8th race ever. Jason pulled away at the start and ended all races many seconds ahead. He did set some very good lap times. We thought we had the Animal kart had tuned up, but we unfortunately missed something and it was about a second slower than the other driver. We never really quite figured it out, though I do have some theories and will be looking to try them out at US Air for the last race of the series. Jason’s next race will be at South Haven, Michigan’s Gingerman Raceway on September 12 and 13th. This is the last race of the Championship Enduro Series this season and the 2014 Awards Banquet, were Jason will receive his 2014 Championship Trophy. Thanks Karen looking forward to the Walworth County Fair and good luck Katie in the show, Mike and his son for coming out to visit, we will get you guys in a kart this summer. Thanks to our 2015 Sponsors for their continuing support. GoPro, Slick Products, Shorai, Amsoil, EVS, Stardust Memorials, The Greenwood Restaurant, C&M Auto Service, Atomic Decals, Danrr Autobody, T.J. Ross.